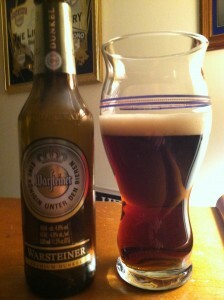 There is nothing like a nice malty German lager! Thank you, Warsteiner! German beer. Two words that go so well together. When someone says, “Beer” you think German. And when you say ,”German” you think beer…..and bratwurst. But beer is first! So, when I was at a party and I saw that there was bottles of Warsteiner’s Dunkel being served, I was more than happy to try it out. When I poured this lager into a glass, the head was an average size, fizzy with a light brown color. The carbonation is soft and the head dissipated quickly. Not much lacing left on the glass by the end of the tasting. 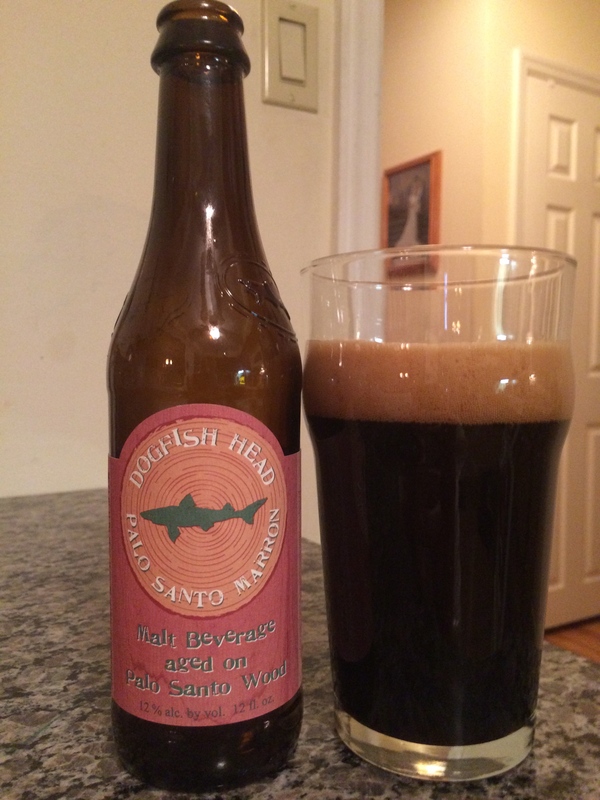 The color of the beer is brown and the body clarity is dark. After the beer was poured into my glass and I took a nice inhale and I am greeted with aroma of toasted, and roasted malt and a nutty hint. There is also a sweetness from the malt that is picked up. The tastes that I pick up from the malts are toffee, toasted hints and a touch of molasses. This is a malty beer. There is not much coming from the hops at all. This is a flavorful German lager that has nice malt character that may appeal to those who are looking for something different flavor-wise that doesn’t translate into “hopping the hell” out of a beer. You will enjoy this beer that takes advantage of and showcases German malts. And the best part is that I purchased it at my distributor for only $25.99 a case. Not bad for an import from Germany.